When I went to Kohl's they were having a huge sale on boys character tees, hoodies, leotards, pajamas, and baby clothes. I was able to stock up on new clothes for my kids (yes that phrase applies to clothes...not just food). I got them winter hoodies, sweats, long sleeved shirts, and some fun character tees for the boy. I always try to shop ahead. I know come winter time my chickadees will freeze in their summer clothes, so I am always looking out for clothes for them in the next size. I don't want to be unprepared when temperatures drop. If I waited I would have to pay full price for winter clothes. By shopping ahead, when things are at a great price, I save my family money. So how do you mamas stretch your money when buying clothes for your munchkins each season? Leave your tips and tricks in the comments below or on Blissful and Domestic's facebook page. 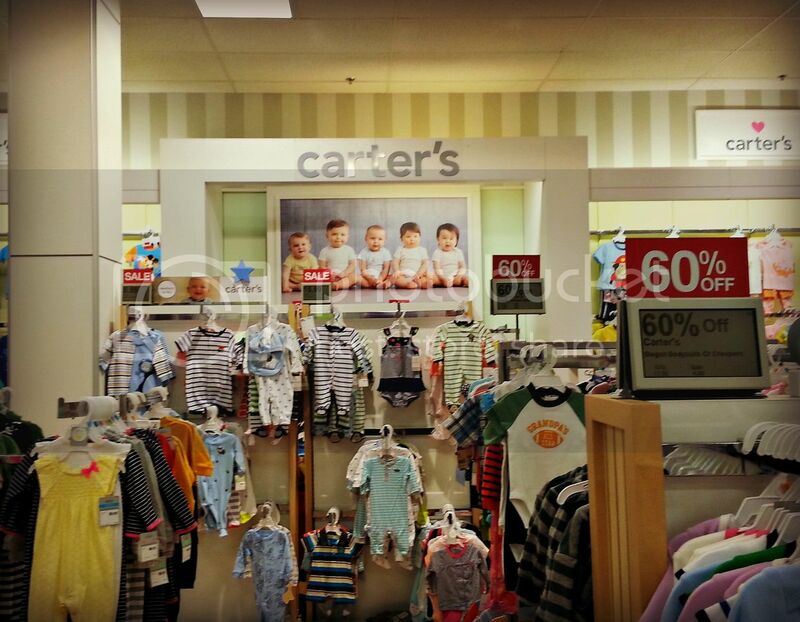 Check out the Carter's Baby Sale going on. It starts today and goes until September 22. 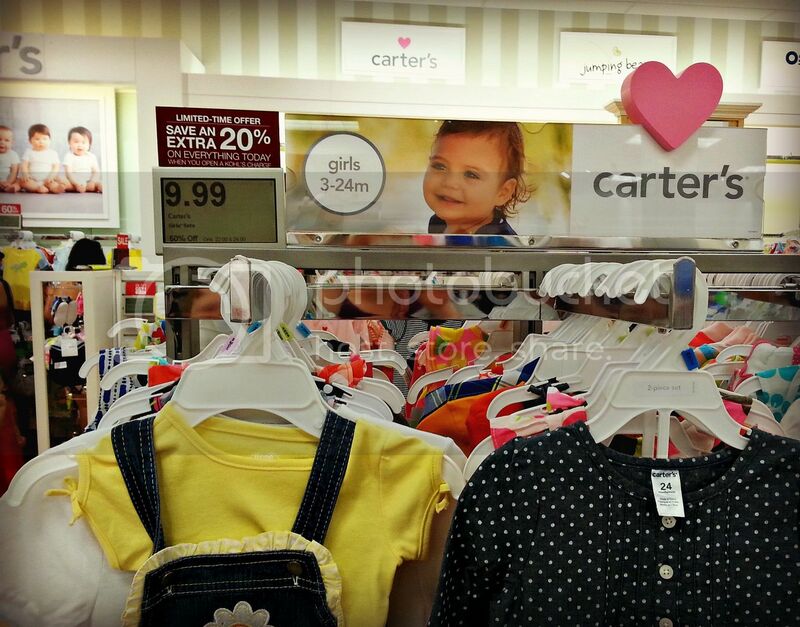 This post is sponsored by Carter's at Kohl's. Love Kohls! I've been doing some shopping there recently and have found some great deals! The best way to shop at Kohls is to find that magical day when you get a 30% off in the mail and it overlaps with Kohls cash - talk about excitement! If you aren't already on Kohl's mailing list you should be. They regularly send out a coupon for 15% off of your entire purchase. I combine that with sale or clearance items for a big score. Sometimes I even receive a gift card in the mail for $10 off any purchase. I do most of my shopping for Megan at Kohl's as their prices on sale and with the % off card are comparable to the consignment stores around here. I also don't have much luck at thrift stores with kids clothing. Thankfully my store isn't in the mall. I am able to zip in and out. Thank you for the tips! I only have one store card, Kohl's. I agree with you. 60% and top that with 20% or 15% off, I love when I receive 30% off. Have a great day! No Kohl's here in Canada =o( I shop the end of season sales for the following year. So August/September I am buying for the following June. I also go to the local Twins, Triplets and More sale which is held twice each year, trade in the clothes my kids have outgrown at the consignment store and go to the 50% off days at Value Village. LOVE Clearance!!! When my mom wants to have girls day at the mall I go though every clearance rack at every store lol Ann Taylor The Loft has AMAZING clearance during the week! I have scored some beauties for up to 75%off! I love the quality of their clothes as well! 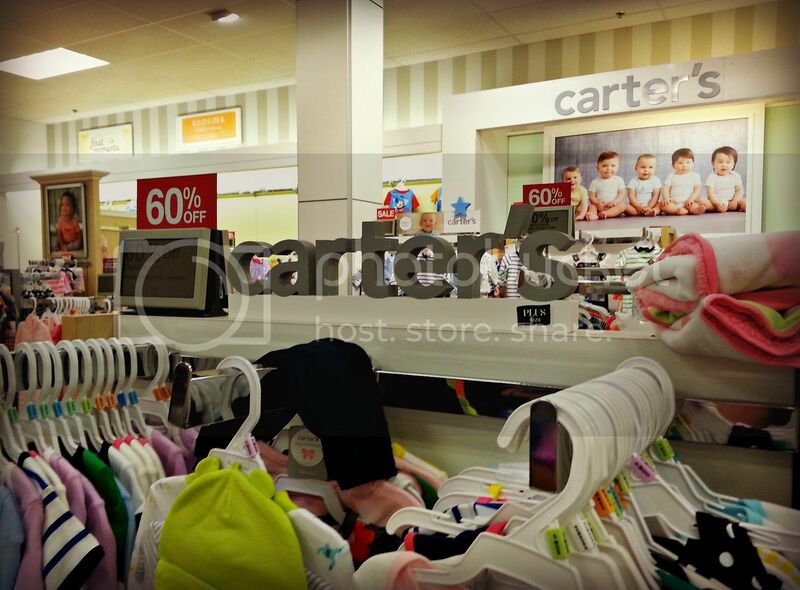 Great post and thanks for the heads up on the baby sale, our friend is having a baby soon! Hope you get some of the rain in Vegas that we had here in Phoenix today. I actually wore a sweater to church! The coupons that come to customers with a Kohl's charge are often excellent -- like $10 off on a purchase of at least $10. I got a very pretty new blouse there once for just over $1 with one of those coupons. Also, the 15% off when I opened our Kohl's charge helped us save $$ on my son's suit, which we bought so he could go to Prom last spring. I am NOT advocating using store charge cards because the interest rate is SUPER HIGH, so if you do keep a Kohl's charge for the coupons, pay it off every month, or all coupon savings will be cancelled out with interest! Thanks for sharing your ideas! I hit the yard sales through out the summer and get the clothes for the next year with that. I would easily say that about 85% of their clothes come from these. Very rarely do they get anything unused. It is getting harder as they get older, especially the boy clothes. But I intend on keeping this up for a couple more years. I'm the same way with Kohl's. I honestly only ever go in there when the $10 cards come in the mail, but I shop the crap out of those clearance racks. For example, last year, right around April, my son wanted footie pajamas. Best time ever to go looking for them because they were all on clearance and he got to use them the following winter. Now is the time to shop the summer clearance for your children's next size up. (This is how my daughter gets a lot of her Justice stuff as well, and our Justice is two doors down from Kohls). Get on their email or mailing list. With this you can usually get 15-20% off. In our newspaper, they also send a peelie every so often for $10 off your $25 purchase. You can stack these coupons. Shop the sales racks, and they also frequently do Kohls cash if you spend $50. Be careful of the dates on the Kohls cash though. Sometimes they expire quicker than you expect. Also, they started a new rewards program where if you gain points based on what you've spent, they send you $5 rewards. This doesn't require signing up for a credit card. Back in Florida where I am from, my wife bought a pair of flip flop for almost $30 I so kid you not. Since living a strict budget we never pay more then $5.00 and this is how we shop now %60 or more only, or we go second hand. This article rocks and sharing with our young Mommy friends. I absolutely love Kohl's! Last year I got over $400 worth of clothes and shoes for my kids for the next season for $100. I love that you can stack a dollar off coupon with a percentage off coupon. Combine that with sales and clearance and get amazing deals, like jeans for me for $8! Here's my question, when a Kohl's first opened by my home they would randomly send out $10/$10 coupons in the mail. We don't get them any more, but my neighbor down the street still gets them about twice a month. Luckily she gives them to me, but I'm wondering if this is something that is sent to Kohl's charge card holders? If so, that might be one card worth getting!